The B-52H was the final model in the B-52 series. Boeing-Wichita built 102 aircraft for delivery, in 1961-62, to the Strategic Air Command. 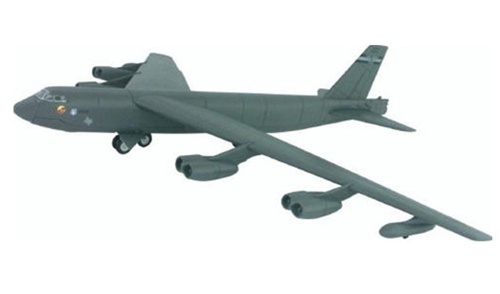 The -H model was an improved version of the B-52G with the major change done to the powerplants. The Pratt & Whitney J57 turbojet used on all previous versions of the B-52 was replaced by the Pratt & Whitney TF33 turbofan.